Racing Partnerships, Leasing and Racing Clubs are a few other ways you can enjoy racehorse ownership. This is a multi-ownership mechanism for groups of between 2 and 20 individuals of which at lease two must become registered owners (or be existing owners). The two registered owners (‘nominated partners’) are ultimately responsible for the setup and administration of the Racing Partnership. While the other ‘listed’ partners don’t have to register as owners, the BHA will ask the nominated partners to supply the name and address details of these listed partners. The nominated partners, under the Rules of Racing, are treated as if they were the joint owners of the horses. Each nominated partner is jointly and severally liable for any sums due as owners, and under the Rules of Racing. The cost of registering a racing partnership is considerably more than for a joint ownership, but is not horse-specific, so the initial racing partnership registration is a one-off payment. The horse can either run in the names of the co-owners or you can come up with a name for your partnership. There is much fun to be had in setting up your own racing partnership with a group of friends. It not only splits the cost of having a horse in training but also adds to the social occasion of going racing. 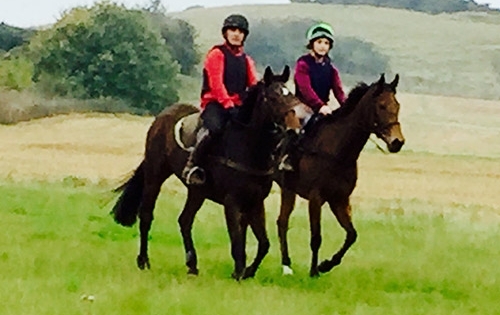 As a member of a racing club you can enjoy some of the benefits of being a racehorse owner but without any actual ownership right of the horse. Generally, your fee to join will include involvement in one or more horses running in the club’s colours, a share of the prize money, free or reduced rate badges for the races, when the club has a horse entered, and visits to the yard where the club’s horses are trained. This again presents a great opportunity to become involved in horseracing at an affordable rate while enjoying many social benefits such as meeting fellow racing enthusiasts. For more information on other types of racehorse ownership, like Co-ownership, Joint and Company Ownership just click the button below. Leasing a racehorse involves ownership of that horse for a set period of time, by agreement with the horse’s legal owner. Leasing can be arranged for a one-off race, for a season, or for an entire racing career. This option offsets the initial cost of buying a horse but throughout the period of the lease the lessee is responsible for any costs incurred. The lessee has to register as an owner, and the benefit is that the horse will run under the name of the lessee(s), who will keep any prize money won (or a percentage of the winnings handled privately, eg. not through Weatherbys – depending on the agreement. At the end of the term of the lessee agreement, ownership of the horse returns to the lessor or legal owner.